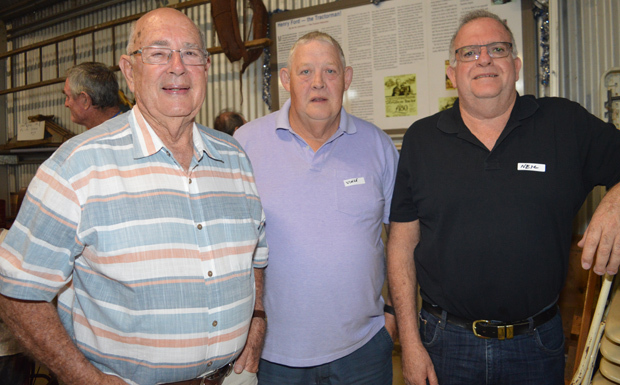 The BlazeAid camp near Kingaroy Airport – which has been operating for a little over a month – will be officially breaking up this week. 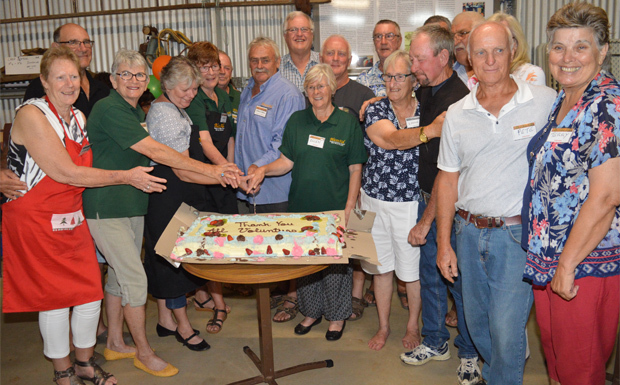 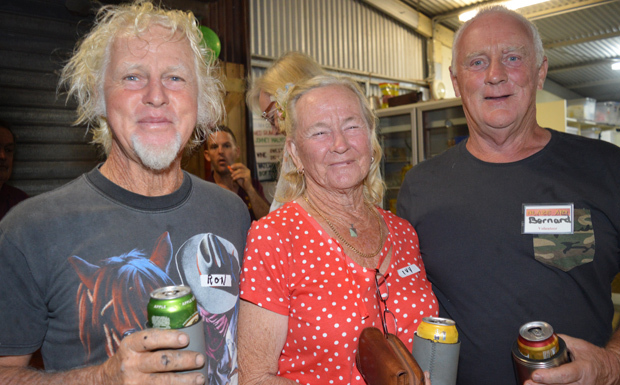 A “thank you” dinner was hosted at the camp site on Saturday night to acknowledge the visiting volunteers who have been working on farms as well as the local volunteers who have been preparing meals and handling administration tasks. 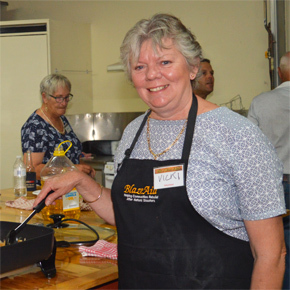 A total of 52 volunteers helped out at the camp, including the co-ordinators, kitchen workers and admin helpers. 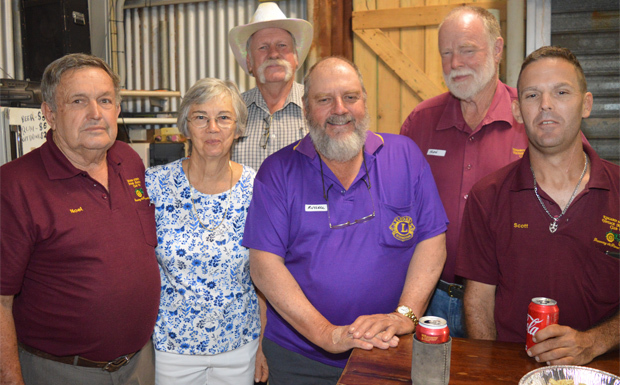 Volunteers from across Queensland, NSW and Victoria have been cleaning and mending fences, clearing away debris and generally helping on farms in the Hodgleigh, Booie and Coolabunia areas which were devastated by last month’s wild storm. 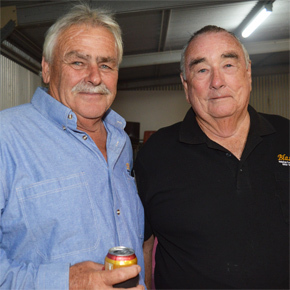 The call for help went out from Deputy Mayor Kathy Duff and Murgon businessman Leo Geraghty, and the BlazeAid team quickly responded. 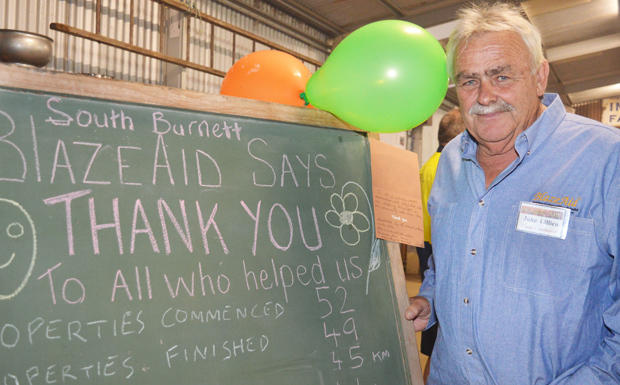 Leo, who helped organise the BlazeAid camp when they came to the South Burnett after the 2013 floods, gave a brief history of the organisation. 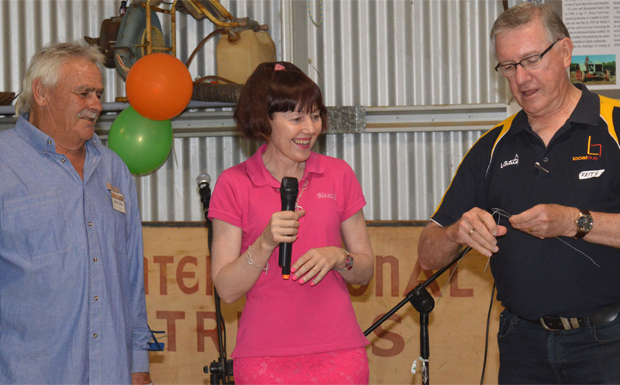 The movement was the idea of Victorian sheep farmer Kevin Butler, a victim of the Black Saturday bushfires in 2009. 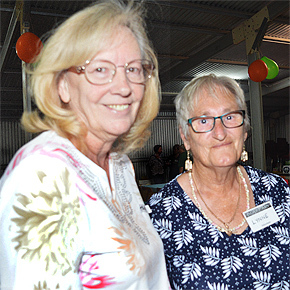 Since then, the volunteers have travelled all over Australia “wherever there is a need”. 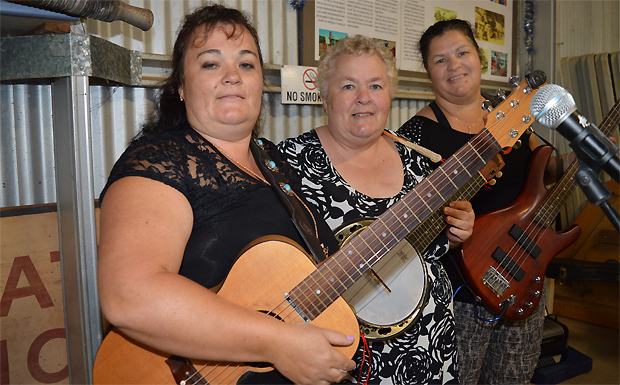 This is the fourth time they’ve set up somewhere in the South Burnett but the first time in Kingaroy. 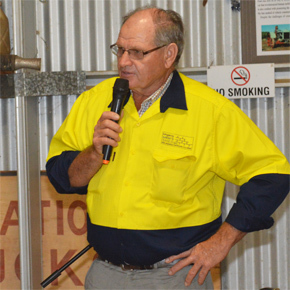 Camp co-ordinator John Lillico drove from Muttaburra to take control of the project. 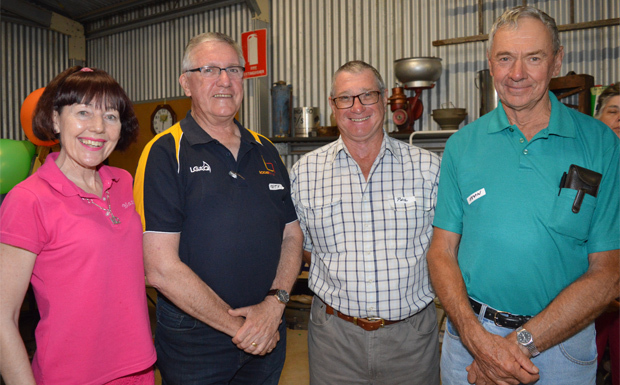 He praised the support the camp had received from the South Burnett Regional Council, local service clubs, church groups and individual volunteers. 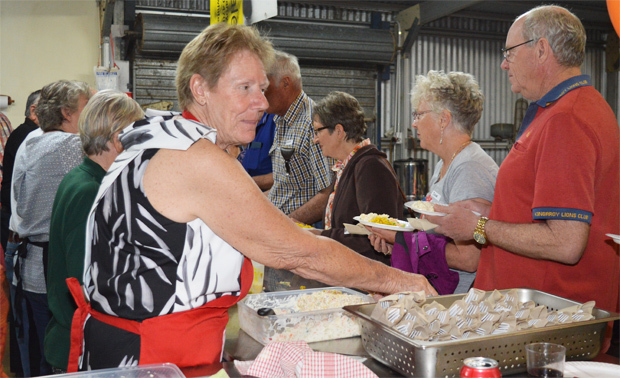 “I have done 11 BlazeAid camps now and the community support here is the best I have seen,” John said. 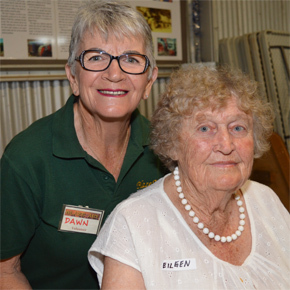 A touching thank you to the volunteers came from 95-year-old Eileen Horne, from East Nanango. 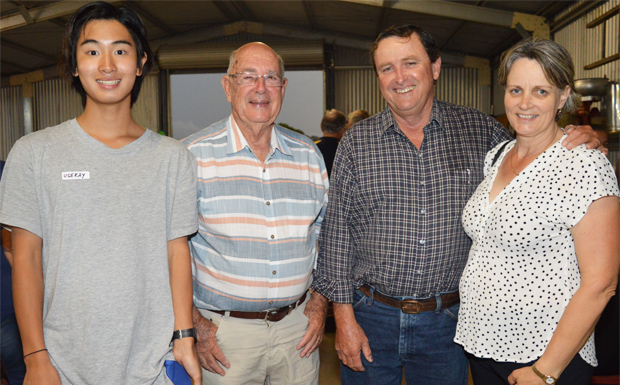 BlazeAiders helped out on her property after the storm. 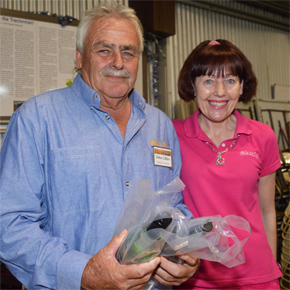 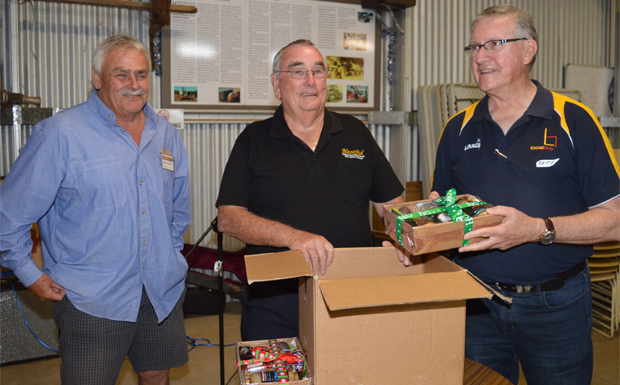 South Burnett Mayor Keith Campbell handed out small gifts to the volunteers who assisted with the clean-up. 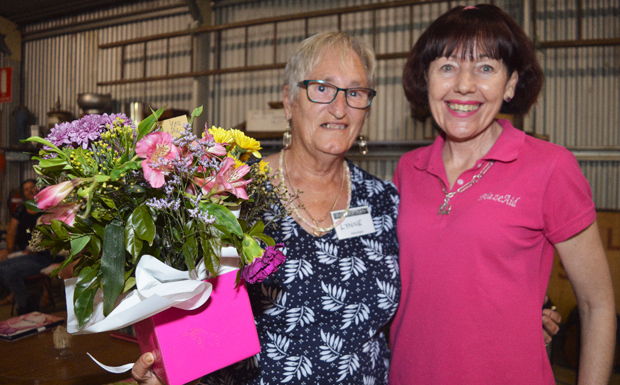 Kingaroy Christian Care provided $100 shopping vouchers which Mayor Campbell distributed to farming families. 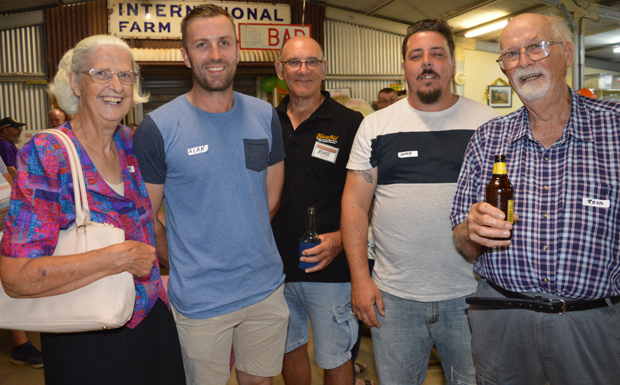 Leo urged any of the volunteers who wanted to continue helping out locally to now head northwards to Lower Wonga Hall where a BlazeAid camp is helping out at the 26,000 acres of farming land burned out in September in the Woolooga / Sexton area.